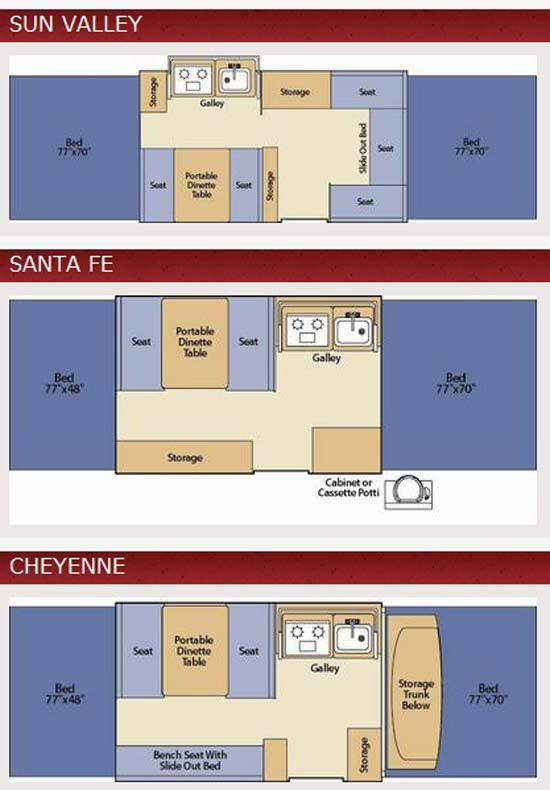 3 models are available -Sun Valley, Santa Fe and Cheyenne – we show all floorplans below. 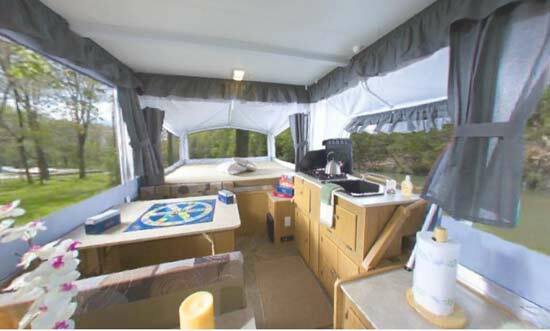 We show the floorplans for all 3 models below. The Sun Valley has an open length of 25′ and 17’2″ closed. The GVWR is 3500 lbs and unloaded vehicle weight 2175 lbsgiving a maximum carrying capacity of 1325 lbs. 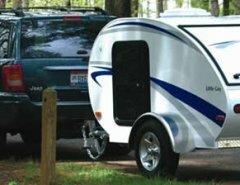 The Santa Fe has an open length of 21’4″ and 15’2″ closed. The GVWR is 3000 lbs and unloaded vehicle weight 1890 lbsgiving a maximum carrying capacity of 1110 lbs. 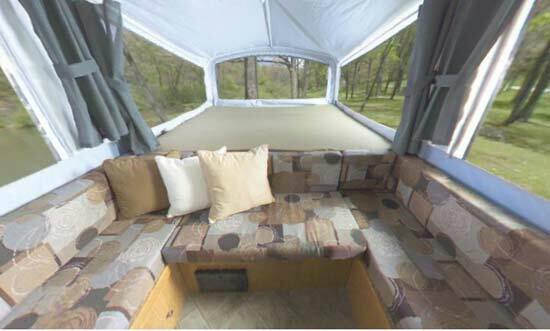 The Cheyenne has an open length of 21’4″ and 17’2″ closed. The GVWR is 3000 lbs and unloaded vehicle weight 2140 lbsgiving a maximum carrying capacity of 860 lbs.